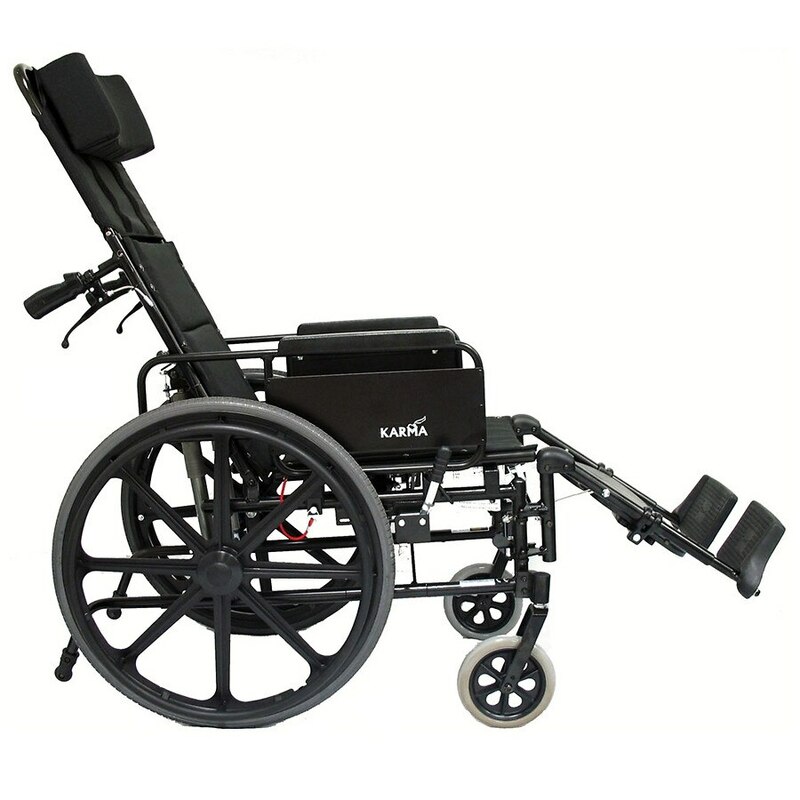 This Karman fully reclining, high strength, light weight transport wheelchair is in a league all its own. The reclining range is 90° - 163° and it weighs only 33 lbs. making storage and transport easy. The frame is crafted from 6061 T-6 aircraft aluminum and includes premium options such as elevating leg rests and anti-tippers.